Obituary for Landy Alexander, III | Collins Funeral Home, Inc.
On April 25, 1948 in Camden, South Carolina, God gave Rosalee Fisher Alexander and the late Landy Lee Alexander, Jr., their second baby boy, a bundle of joy and love and they named him Landy as his father. He was raised in a loving Christian home where he was taught to love and honor family members. Landy entered eternal life at home on January 24, 2019. Landy graduated from Jackson High School. He was a member of St. Paul United Methodist Church. Landy helped maintain the security of the nation while serving in the US Marines during the Vietnam conflict. He was a war veteran and received the following awards serving his country: National Defense Service Medal, Vietnam Campaign Medal with Device, Vietnam Service Medal with one star and Rifle Marksman Badge. These medals and awards proved his character to be one of gallantry and bravery which resulted in an honorable discharge from the US Marines. Landy was employed with Springdale Nursery in Camden, SC. After leaving Springdale, he worked as a freelance landscaper working with various companies. Landy will not sorrow anymore: no more tears, for God himself will wipe them all away. He will not be lonely because a host of loved ones, saints and friends will be there to greet him. It will be a great reunion. Five brothers, Ronald Alexander, Clarence Alexander, Gary Alexander, Steven Alexander and Claude Alexander preceded Landy in death. One sister, Dorothy Wilson, also preceded him in death. 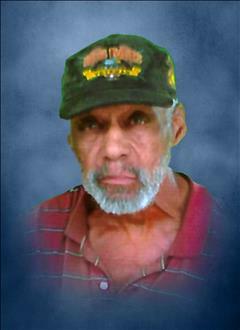 Those left to cherish his fond memory and grieve his passing and celebrate his homegoing are his mother, Rosalee Fisher Alexander; one daughter, Latonya Williams; two grandchildren, Jeremy Williams and Jerrod Beaufort; two great grandchildren, Kendale Cooke and J’Niayh Williams; three brothers, Sylvester, Terry and Reginald Alexander; four sisters, Catherine McClendon, Delores and Belinda Alexander and Rosemary Alexander Bracey; one brother-in-law, Alvin Wilson; one sister-in-law, Deborah Alexander; one aunt, Lula Alexander and a host of nieces nephews, cousins and faithful friends.